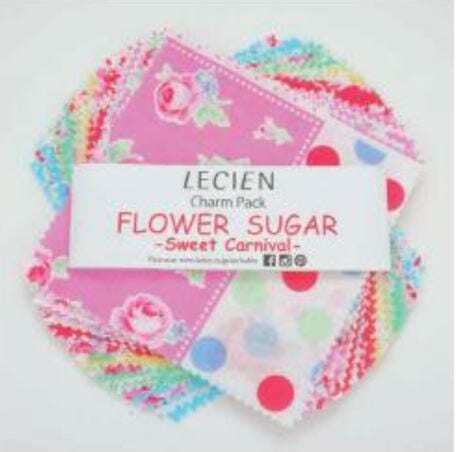 Precut 5" squares/Origami Pack by Lecien of Japan. 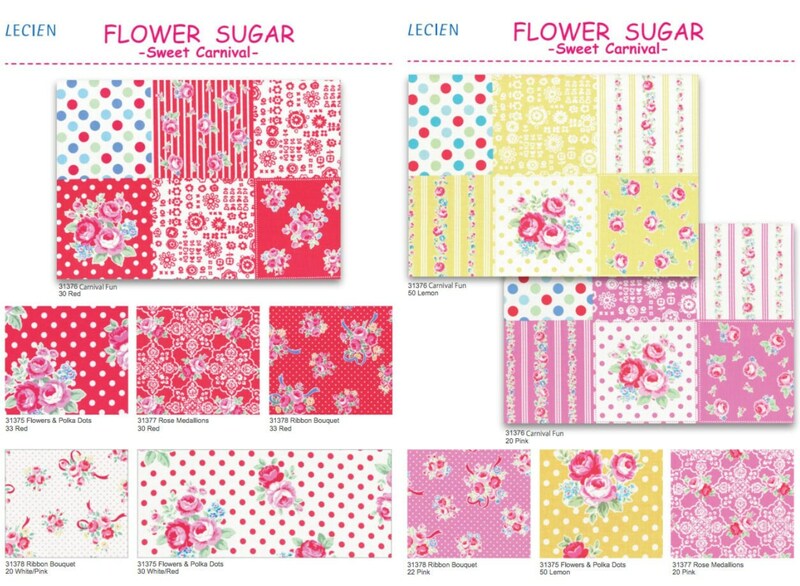 Pretty floral design includes large + small floral prints and patchwork cheater prints on red, pink, blue, yellow, green and white. 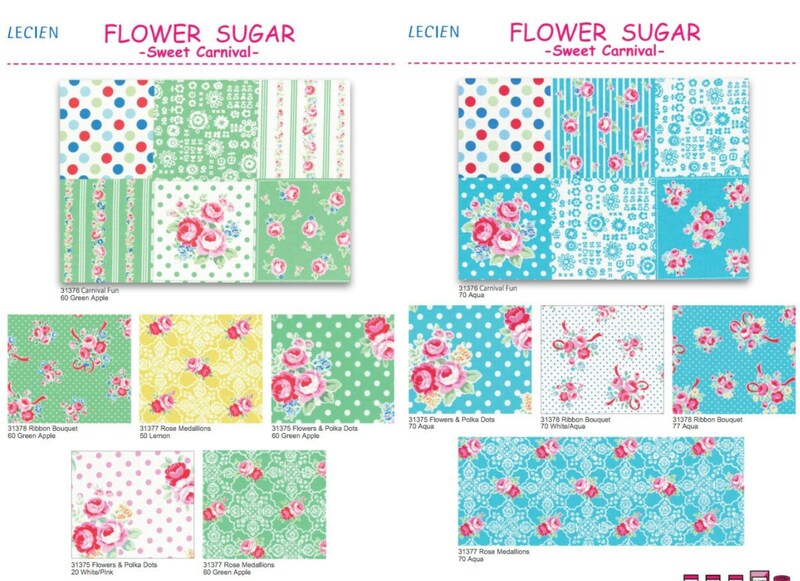 Flower Sugar Sweet Carnival fabric line. 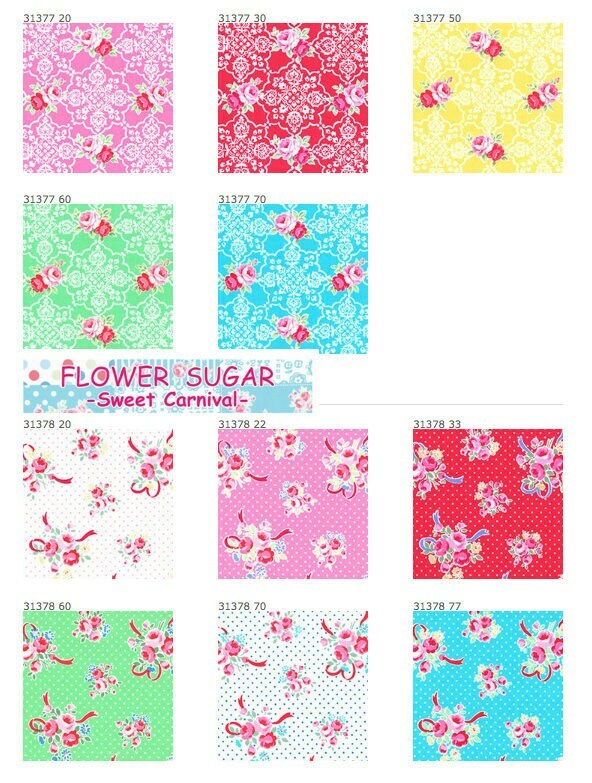 5" x 5" Fabric Squares. 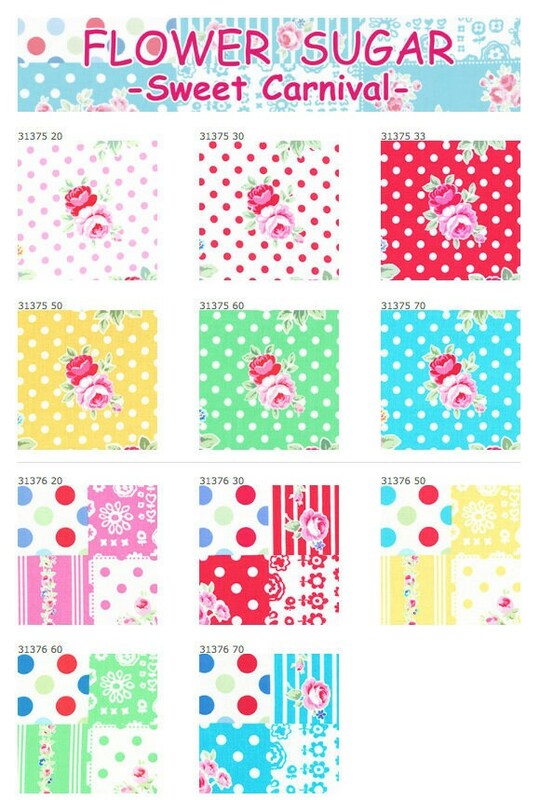 1 set @ 42-pcs ( 22 various prints + several repeats).